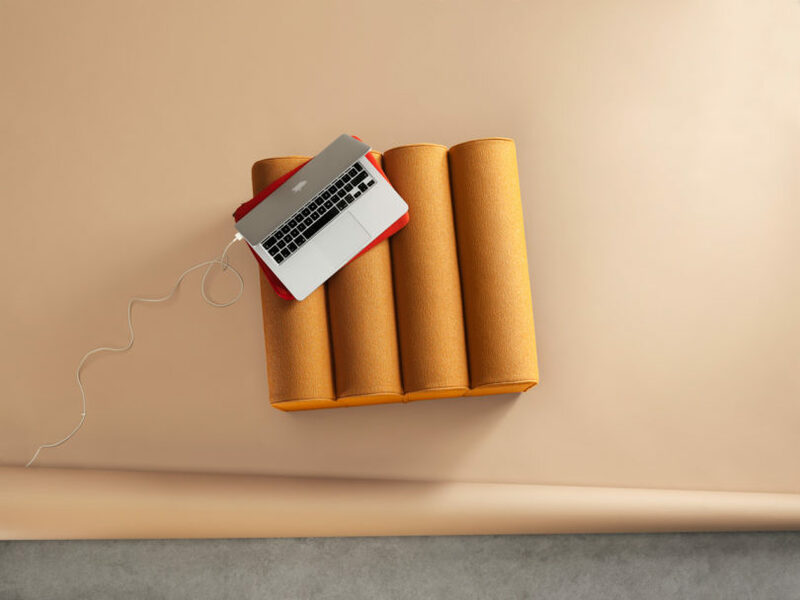 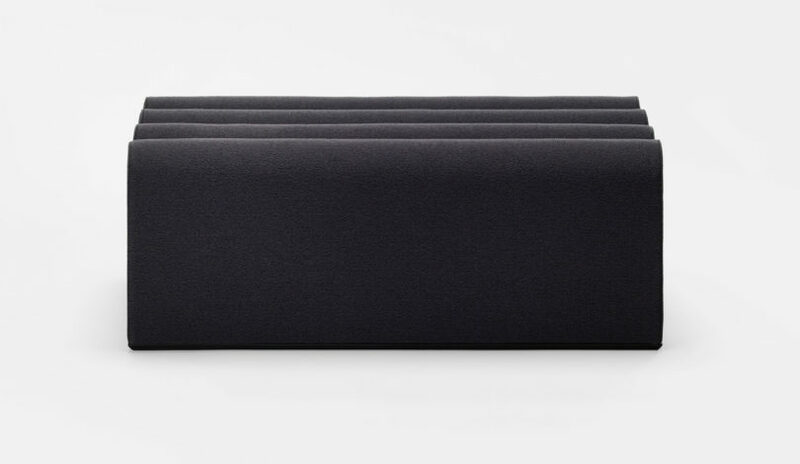 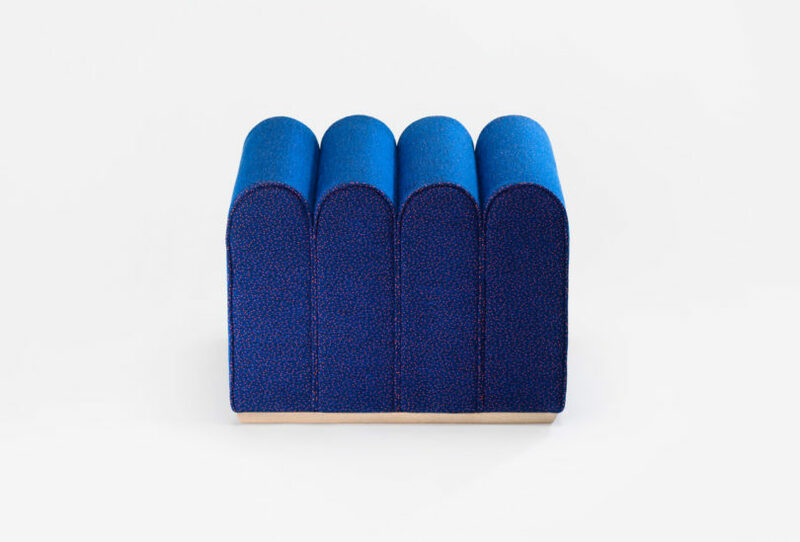 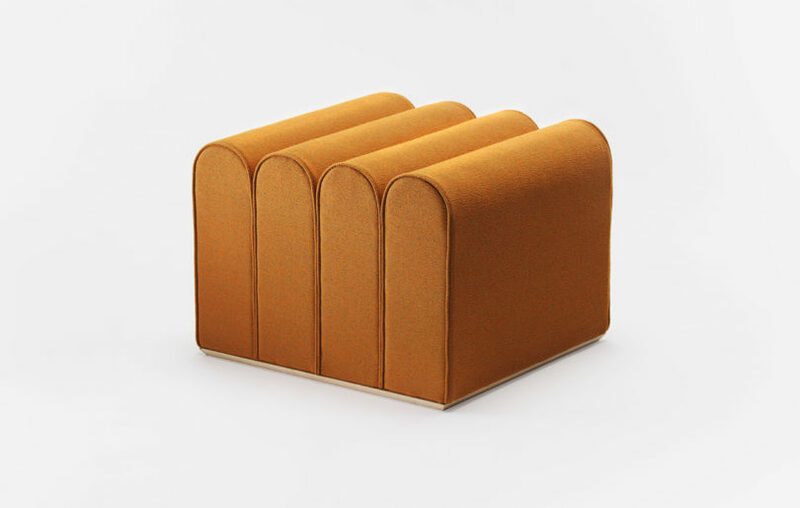 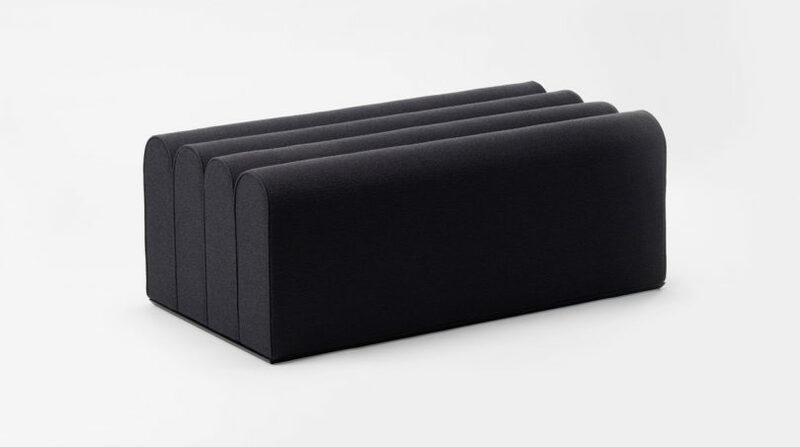 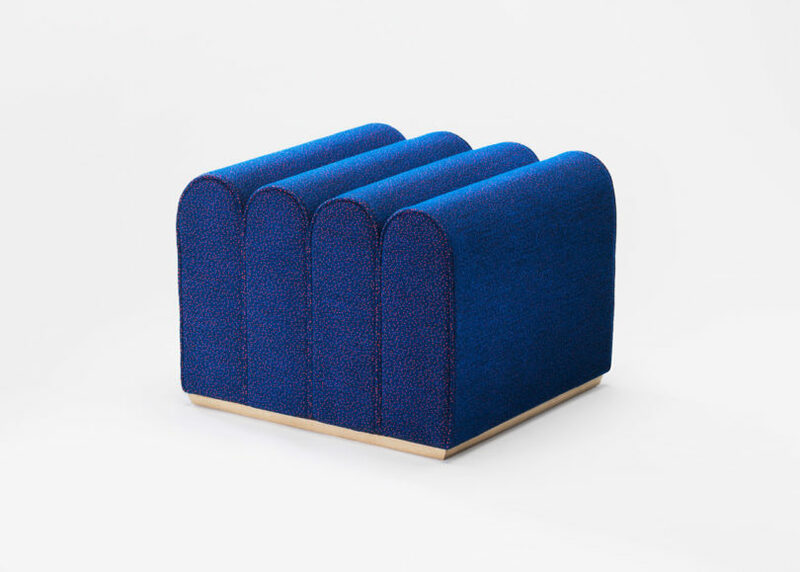 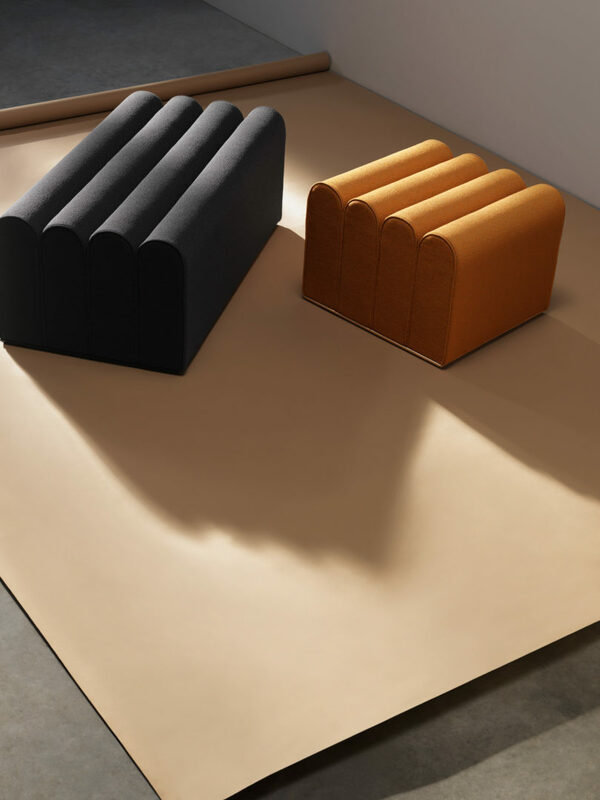 Stockholm-based Note Design Studio designed a family of poufs for Zilio A&C inspired by architecture. 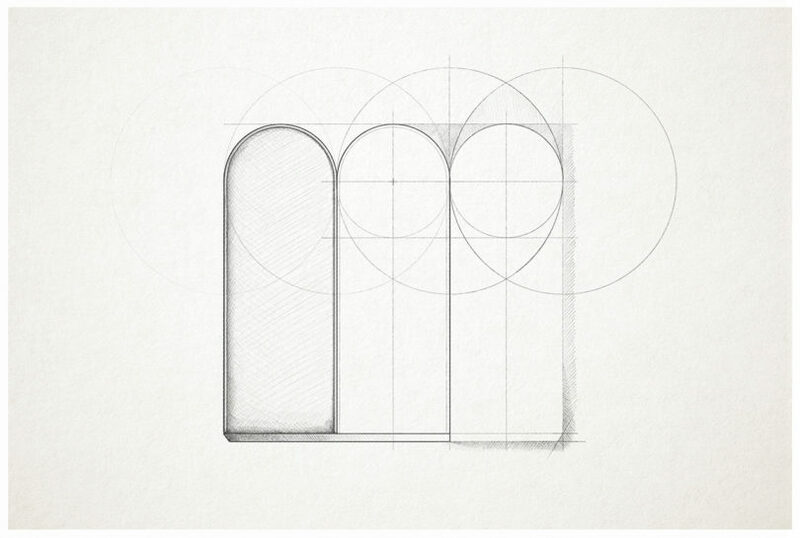 After experimenting with various architectural shapes, they discovered they were drawn to arches when they turned the negative space within the arch into a positive form. 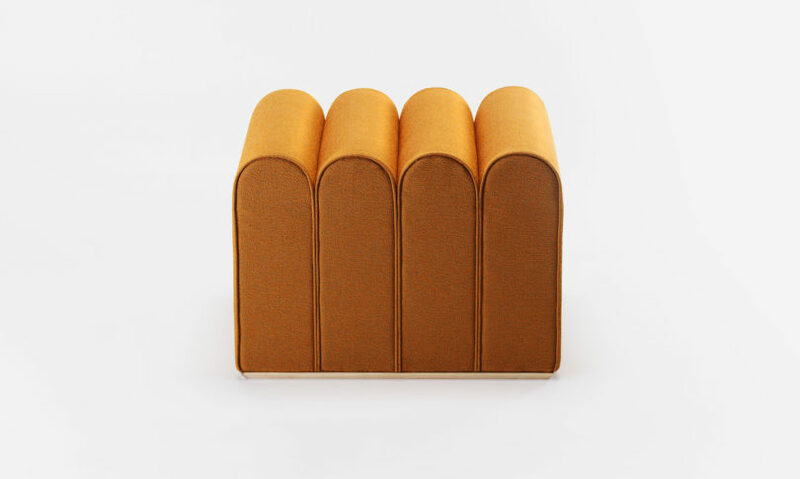 Lining up multiple positive arches together transformed them into an arcade, which is where the collection got its Swedish name – Arkad. 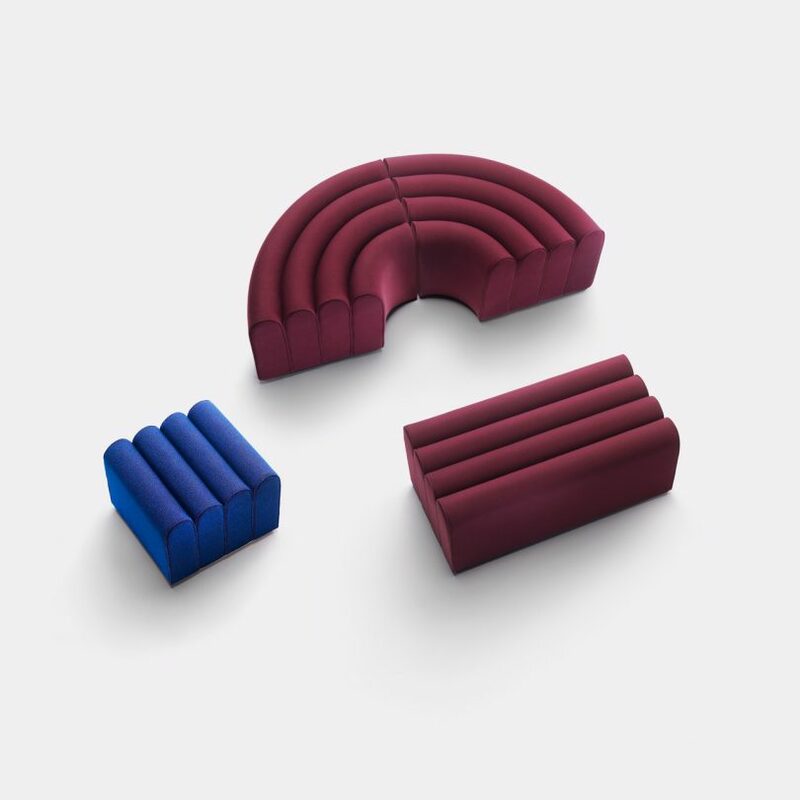 A singular arch has a familiar, recognizable shape but when grouped together they become less about the shape and more about the rhythmic pattern as seen on the curved surfaces of the seats. 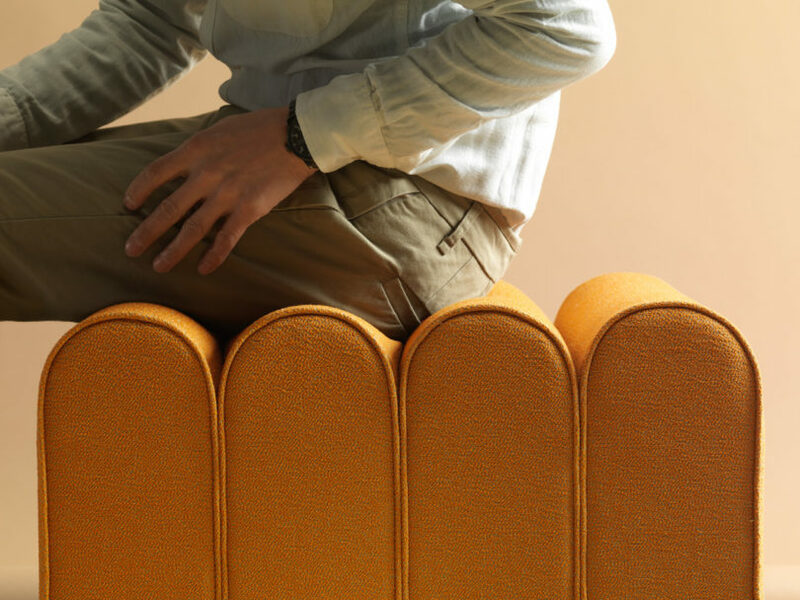 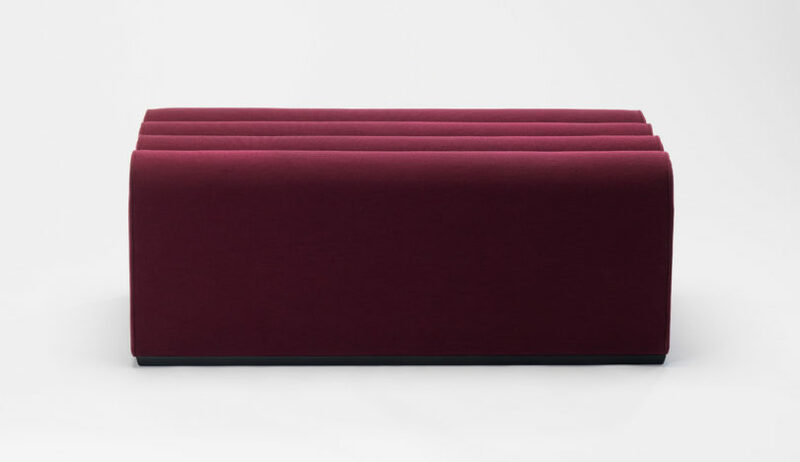 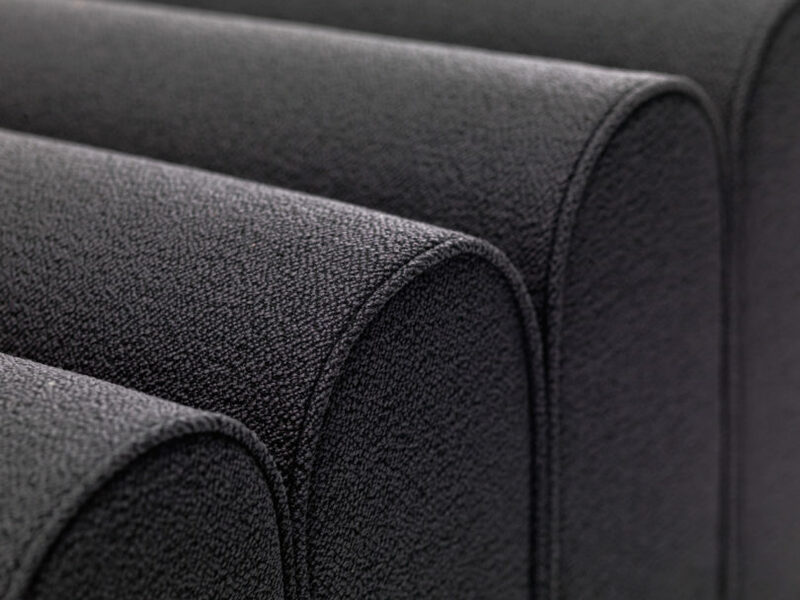 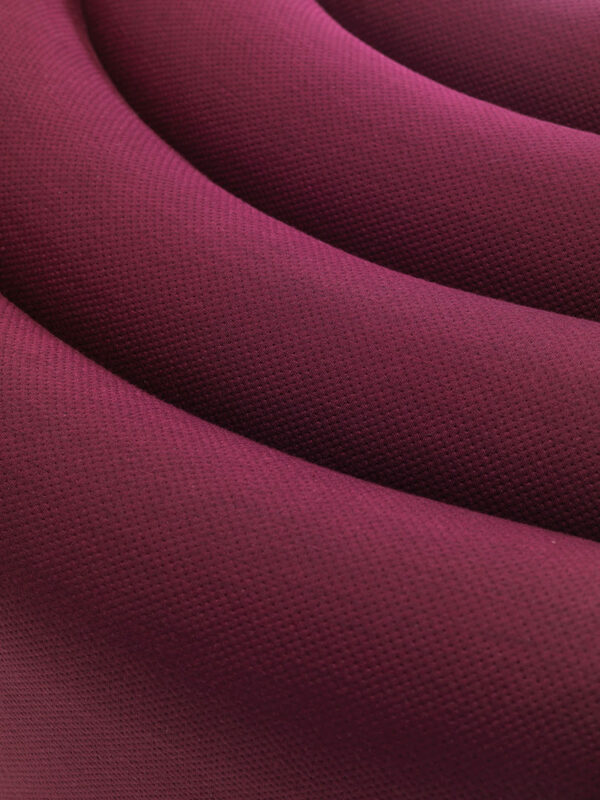 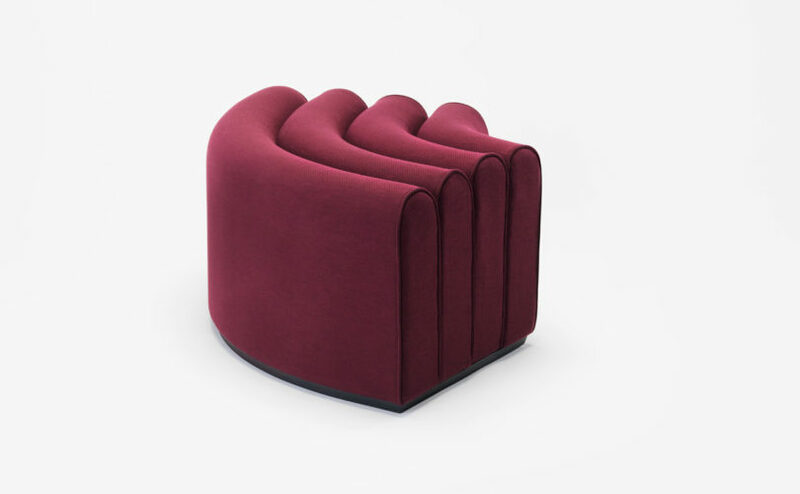 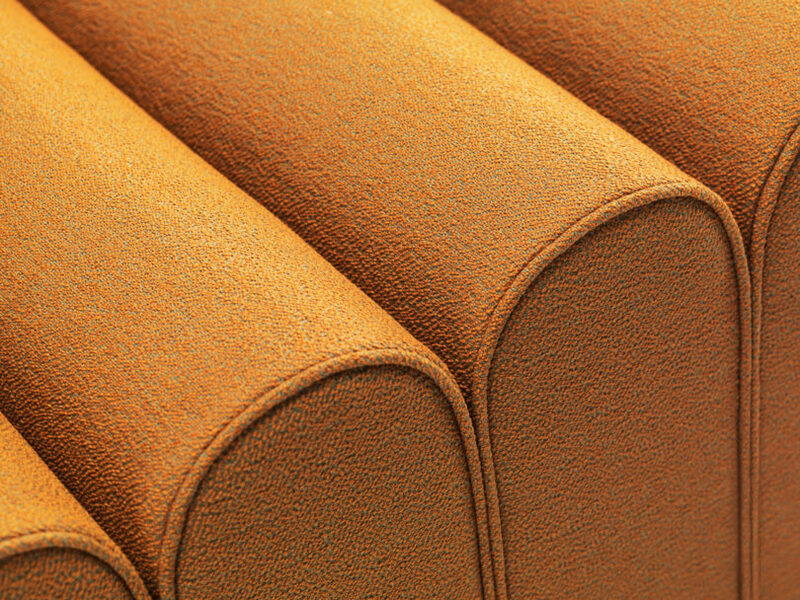 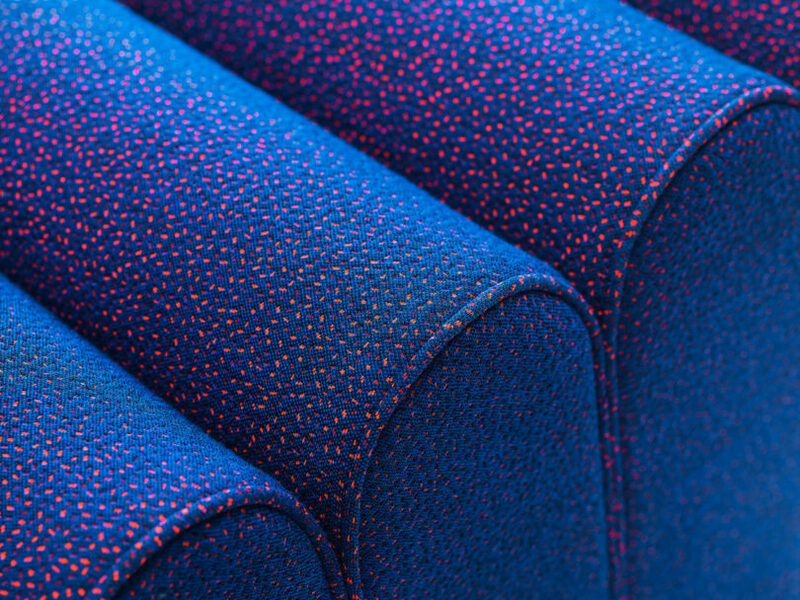 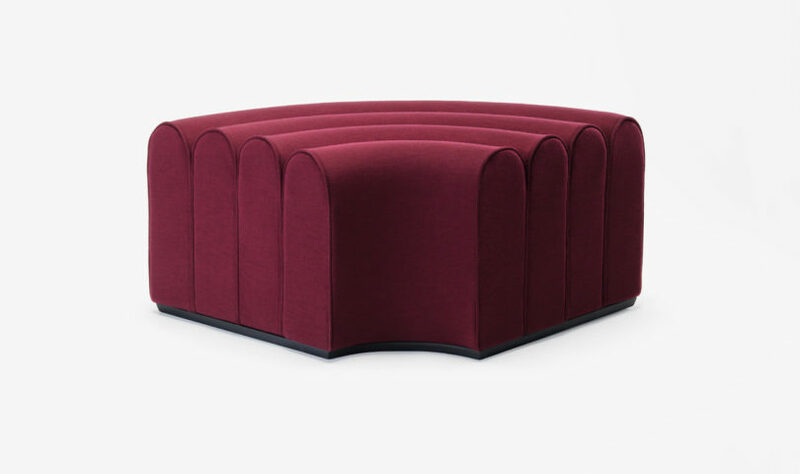 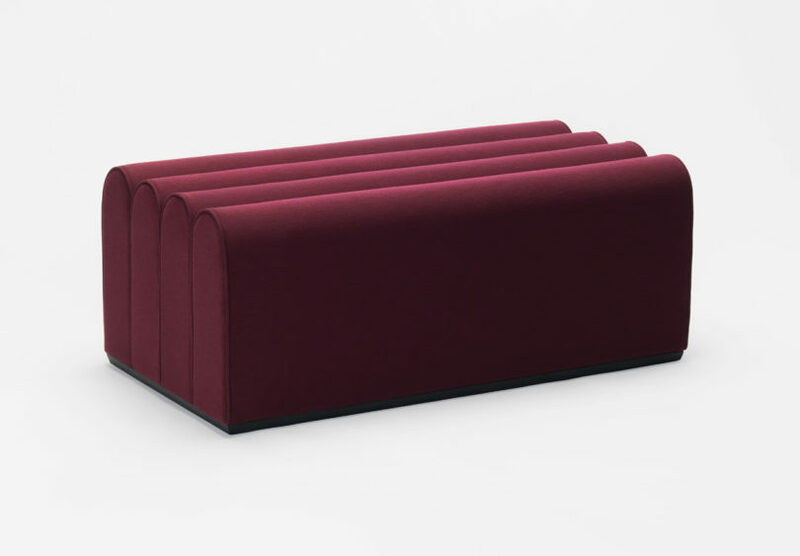 The sculptural poufs come in three shapes – a curved corner unit and straight units in two different lengths – that can be grouped together or used individually in offices, lounges, and even residential settings.